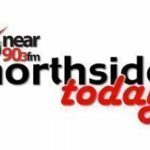 Northside Today, Noel Mc Guinness Talks to Ronan Farren, Communications Director of Coca-Cola about the Coca-Cola Thank You Fund. Bridging the divide between education and the workplace; Fostering diversity and inclusion in youth communities; Empowering young people to become leaders of the future; Youth taking an innovative approach to sustainability in local communities. applications before July the 13th 2018. 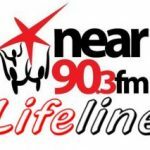 PREVIOUS Previous post: Lifeline Interview With Niamh Gallagher, CEO of Drinkaware. NEXT Next post: Northside Today – Noel Mc Guinness talks to Gráinne Mackin, Director of Communications,’The Bus Connects Project for the National Transport Authority’.